When is a cycle lane not a cycle lane? Perhaps the cycle route signs give an obvious answer? If you think they are cycle lanes then you’d be wrong. These are not cycle lanes.. 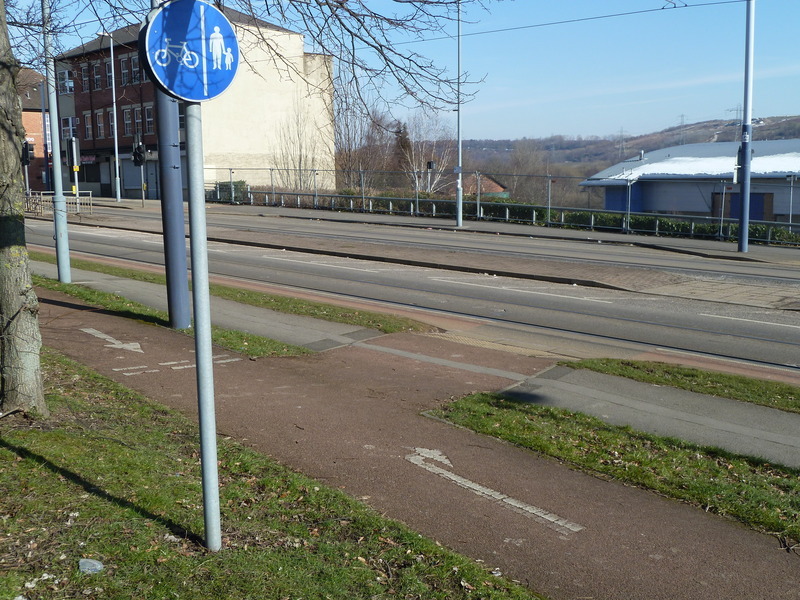 These ‘lanes’ actually indicate areas of danger according to information presented to the Sheffield City Council Cycle Forum. 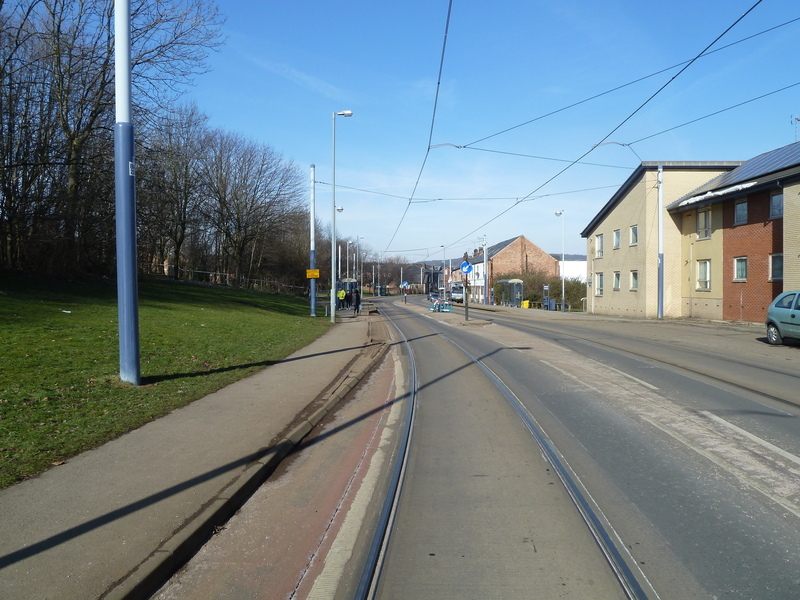 As part of the Supertram project, red surfacing and white lines were introduced to indicate to drivers how to avoid the tram tracks and to guide them onto a conventional surface. 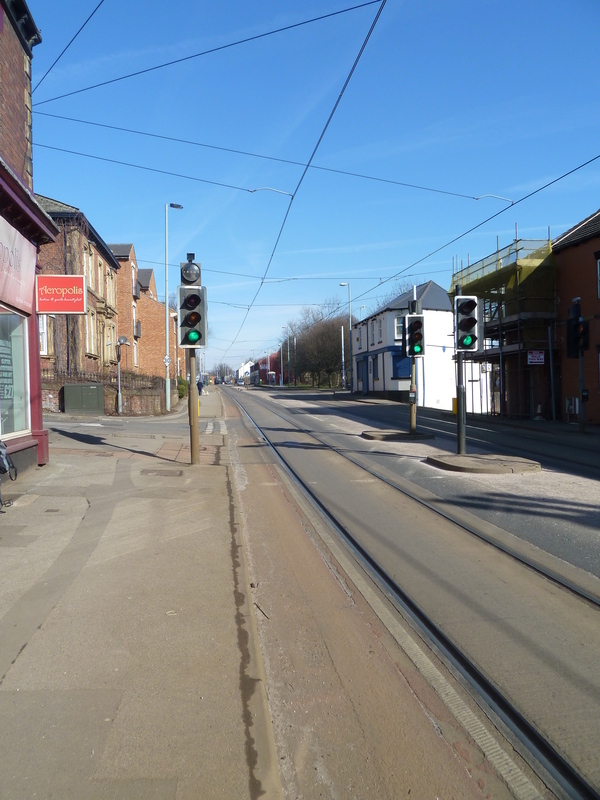 This has created a problem for cyclists, given a perception that cycle lanes are often coloured red, and therefore with many believing that the nearside red surfacing adjacent to the tram tracks is a cycle lane. 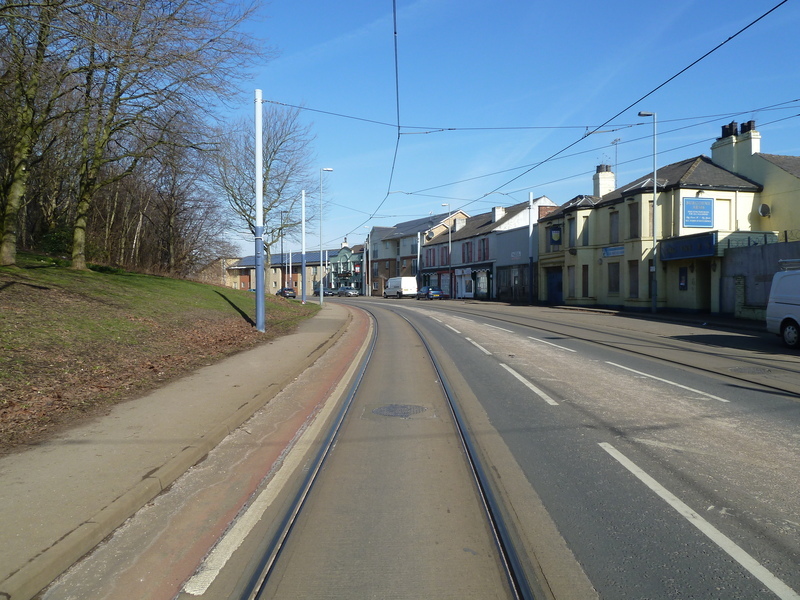 Cyclists are then presented with tram stops where the platforms extend into the ‘road’ and the ‘cycle lane’ disappears. 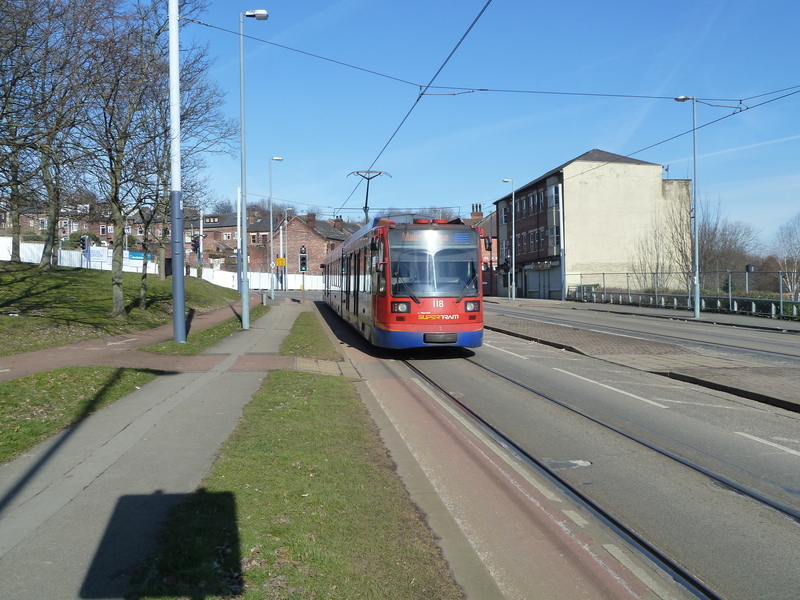 Cyclists then find themselves crossing the tram tracks at a narrow angle and slipping into the rails, or find themselves ‘forced out’ often into faster moving traffic. There have been a number of injuries, some serious, as a result. Use these ‘cycle lanes’ at your own risk. 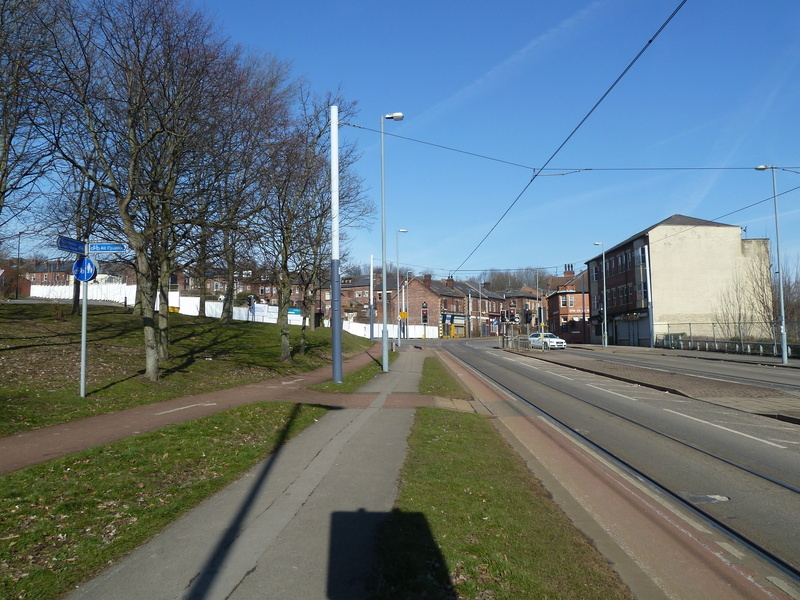 They will end suddenly and force you to cross tram lines at a dangerous angle. These road marking will soon be replaced by hatched markings. Hopefully less misleading for anyone who use these routes. 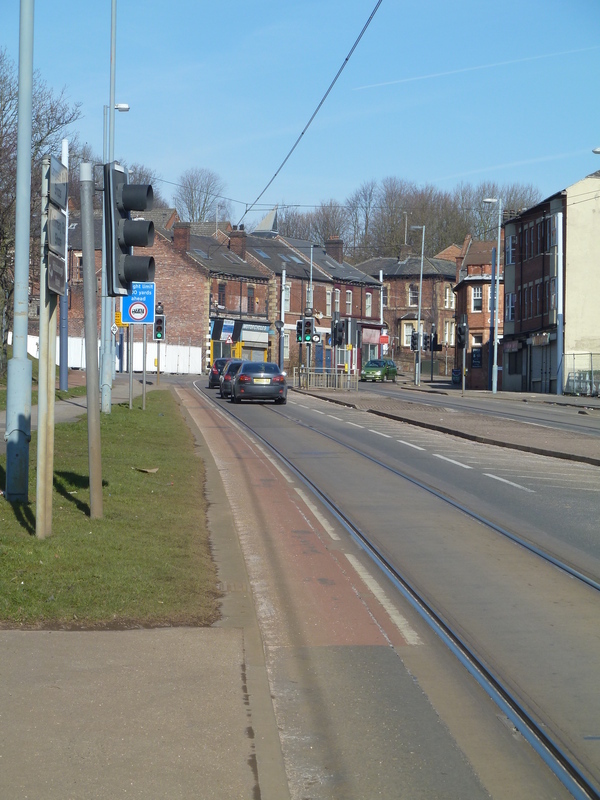 Replace the red surfacing and white line (the ‘cycle lane’) at the nearside with a solid white line and hatching for 5m to 10m. The hatching then ceases and the white line continues, solid or broken as appropriate. At side roads the process is repeated. If there is insufficient width to provide hatching a solid white ‘nose’ can be provided, followed bythe white line. 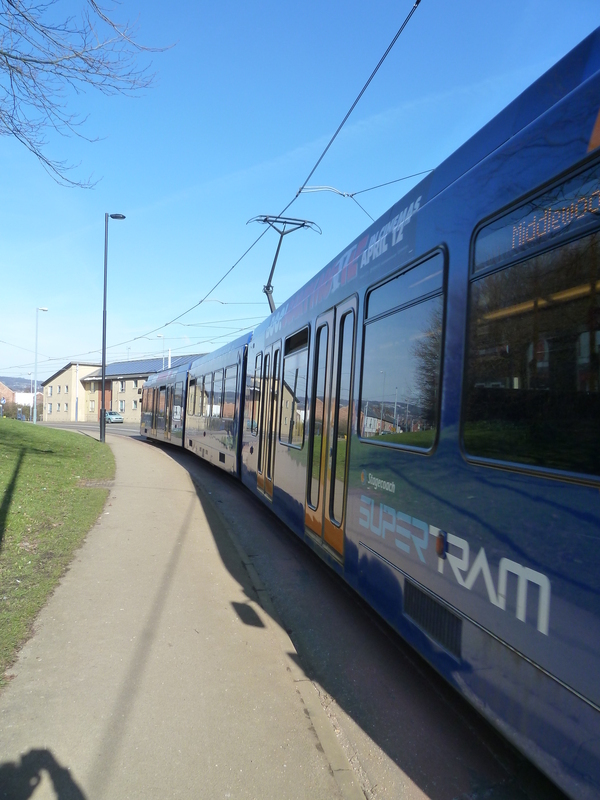 But… good luck sharing the road with trams, you’ll need to get out of the way if one comes up behind you. They can’t overtake and there’s not enough room to move over to let one past. 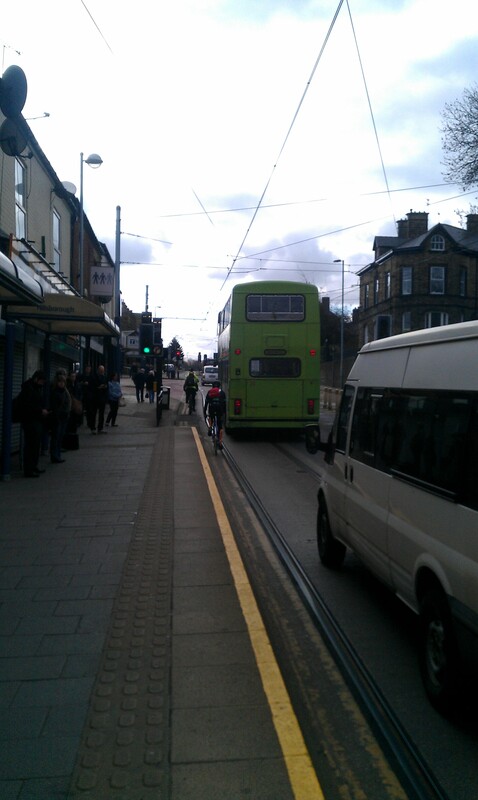 This entry was posted in council, cycling, infrastructure, tram on April 27, 2013 by Matt. I remember a colleague who was new to the city commenting on these narrow “cycle lanes”. Good to know they’re being replaced. On another note, my OH is one of the unfortunte’s who got a wheel stuck in the tracks, a trip over the handlebars saw him in plaster with two broken arms for six weeks. The Dr at fracture clinic told him they see one similar injury per week! It’s not fun but at least I didnt hurt myself. That would be very very good. Have you seen that some people even cycle between the tram tracks and the platforms/stops? Those people are more skilful cyclists than I. By the way, at the risk of sounding pedantic the fifth picture on your blog post *is* of a cycle lane (or track) just at the point where it fizzles out and cyclists are invited to try their luck risking a hazardous maneouvre back on the carriageway, attempting a sharp left turn and with a high likelihood of getting a wheel stuck in the tramway and coming off.